On 27th September 2011 , Amdocs visited our college ,they selected 11 out of around 150 students from BIT MESRA. Here I m sharing my experience with you people .I hope it will help you. Plz listen their PPT carefully,It will help you a lot during interview. Although it was too boring for me . I dnt remember all the questions but I hav tried my best to share with u people. Written was consist of two section:-It was a online test. Sectional Cut-off was their . 2 - Non-Technical (Data Interpretation (very easy), Time Distance (2 or 3 ques), Train(1 ques), etc but simple ques were there in this section, And a big Comprehension from HOW stuff works.com). Non-Tech portion was very easy,cut off goes till 90% in this section.U can refer R.S. Agarwalfor this.For this portion u require atmost An half day to prepare. Now lets talk abt tech portion, it was difficult at least for me. C++ all question were from Test Your C++ Skills,And I had revised so ,it was easy for me. Unix was consist of Pipelining,Shell Scripting and other vi' Commands.It was very -very difficult for me. I attempted more questions in C++ in comparison to Unix, I haven't studied Unix any time before, I read unix just for 2 or 1 day before the visit of AMDOCS. 25 students could clear Written. Now the Time for INTERVIEW:-It was consist of two rounds. GUYZ KEEP IN MIND YOUR HR INTERVIEW(COMMUNICATION SKILL) WILL PLAY A BIG ROLE IN SELECTION. Actually ,I was unaware of this fact till the announcement of the AM DOCS Result. In tech round ,I was asked abt ( What is autometa theory,Give me an example of Autometa theory application,Then I was asked to draw a flow chart and to write Code for that example).Then I was asked puzzles.I coulnt ans any puzzle. This interview was not a good experience for me. Others were also asked for writing SQL queries SQL datatypes etc.Be honest with whatever u hav mentioned in ur CV.He can ask question from any subject.Even they checked our result cards during interview .Some students were asked question from the subjects which they have studied in their Graduation. It started with my INTRODUCTION(Tell me abt yourself). Guyz , be ready wid ur reason in whichever area u want to work. Then asked abt location preference(GURGAON/PUNE). I had already offer from Infosys . 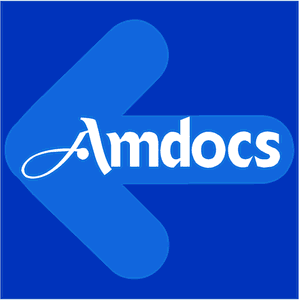 they asked me Y AMDOCS? He asked many question. I was feeling Like I wont be selected, I gave so many unsatisfactory answers in both the interviews. But I don't know what happened I was suddenly called for 3rd interview,None other than me appeared for 3rd interview, This interview was taken by their senior executive Manager.I was so scared .I felt like ,I am forced to sent in jail and I didn't know what mistake I had committed. Well ,Finally ,I went for 3rd interview, it again started wid my introduction. This round went for 40-45 minutes.This round was of 80% tech and 50% non tech questions. He asked question from DATA STRUCTURE, SOFTWARE ENGINEERING,C++(MANY CONCEPTS like object oriented ,object based, virtual destrutor etc). He asked my area of intrest to work(DEVLOPMENT/TESTING). And Y and Y not? He asked in which phase of SDLC I m interested to work. I felt HR interview was not easy to satisfy the interviewe. In 3rd round ,I could ans 80% and of tech ques. It was little bit satisfactory for me. They started taking interview in morning at 10:15 am, and they declared results at 9:30 pm. Finally I was one of those 11.